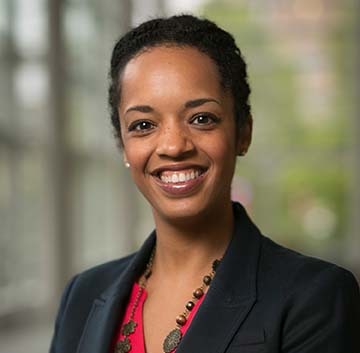 Stephanie J. Creary, Ph.D. is an assistant professor of management at the Wharton School of the University of Pennsylvania. She is passionate about building the capacity of organizations to deliver value to all of their stakeholders, including their employees and the communities in which they operate. Stephanie’s research focuses on conditions that foster a positive sense of self at work, improve the quality of interpersonal and intergroup relationships across difference, and promote change that is positive for individuals, groups, and their organizations. In the health care context, she studies conflict dynamics and their remediation, particularly in the context of organizational mergers and professional jurisdiction disputes. Stephanie has extensive practical experience in the health care industry and contributing to other types of organizations committed to social change.